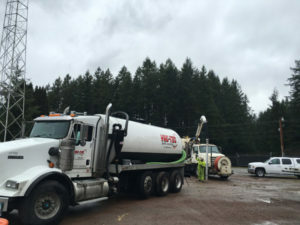 Are you on the looking for capable, reliable professionals to take care of your routine and emergency septic tank pumping needs in Hobart, WA? If yes, then your search is over! VAC-TEC LLC. 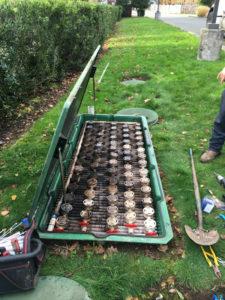 is a highly reputable septic service company that is equipped to handle any residential or commercial septic tank cleaning job. We also provide septic tank installation and septic inspection services. We complete your septic tank pumping job quickly, leaving your property clean and undamaged. You should call in septic tank cleaning professionals to your Hobart property at regular intervals. Otherwise, sooner or later you will end up with an overflowing tank and drains that are backing up. Septic pumping for most properties is required after 3-5 years. You should decide upon on the right interval for septic tank cleaning in your home or commercial establishment after considering the amount of waste generated daily and the size of the septic tank. You can call us for a septic tank inspection to help you determine the right amount of time between septic tank pumping. Why Should Hobart Residents Choose Us for Septic Pumping? Moreover, we offer 24/7 septic pumping services. 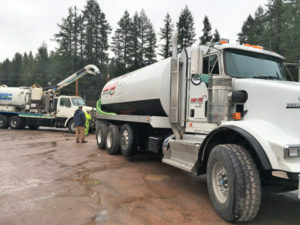 Home and business owners can rest easy that we are always available to handle their emergency septic tank pumping needs. VAC-TEC LLC. is your #1 source for septic pumping services in the Hobart community. Reach us at Tacoma – (253) 777-4887 Seattle – (206) 339-0039 Olympia – (360) 338-6686 North Dakota – (701) 566-0045.